A short distance from Arles, lies the Alyscamps and its ancient cemetery. Quiet and lovely, the Alyscamps projects the intricacies of Roman architecture in its tombs. 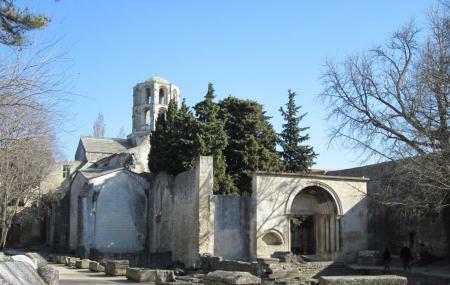 The Alyscamps remained the main burial ground for the people of Arles for about 1500 years and continued to be even after the city was Christianised in the 4th century. St. Trophimus, possibly the first bishop of Arles, was buried here. It is believed that the Christ himself attended the ceremony and left the imprint of his knee on a sarcophagus lid. Like many attractions of Arles, the Alyscamps too became a site for Vincent Van Gogh’s artwork where he worked along with Paul Gauguin. He produced a pair of paintings of the Alyscamps named as the Les Alyscamps. The Alyscamps is unique its charm. The calm solitude of the place provides an excellent escape from the hustle and bustle of life. In 1981, it was declared as a UNESCO World Heritage Site. The place is fascinating and it is easy to see why it was a wonder in the medieval world. The large number of sarcophagi and a semi-ruined church in its premises makes your realise how rich the then era was. How popular is Les Alyscamps? People normally club together Pont De Van Gogh and Eglise And Cloitre St-trophime while planning their visit to Les Alyscamps. People also prefer to start their day with Les Alyscamps.